Ring 14 | Who is Ring14? Ring14 International is a non-profit worldwide organization and functions as a coordination network for the various national chapters which share the same objectives. The main goals of the Association is to support and promote, on an international level, the activities of medical and scientific research regarding the syndrome of Chromosome 14 and to carry out free assistance, support, direction and aid to affected children and their families. 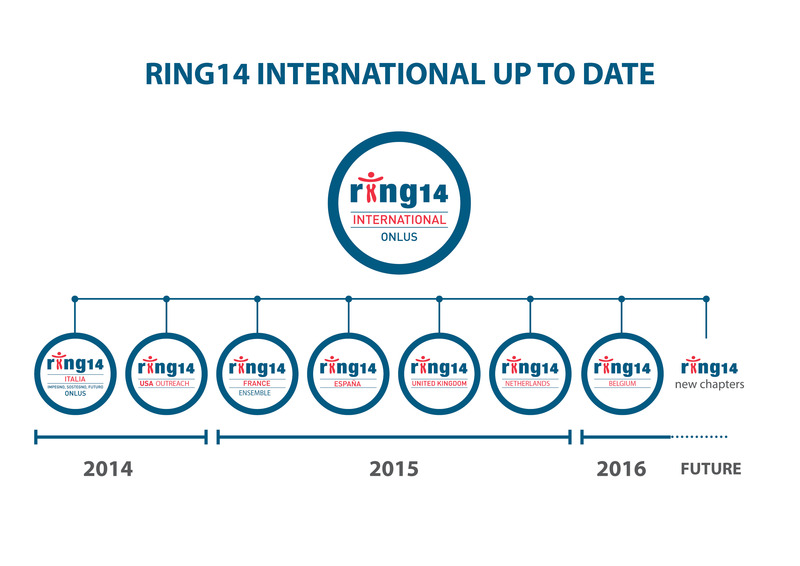 Ring14 International consists of established chapters in Italy and USA and new chapters (founded in 2015) in France, Spain, the United Kingdom and the Netherlands with more opening in the future. The criteria for which countries are selected depend on the willingness of Association families to open Ring14 chapters. We believe in a future where the syndromes of chromosome 14 will no longer be an unknown illness and when a child born with these syndromes can be treated and cured. For us it´s like a marathon where cures for all chromosome 14 diseases move forward to the finish line together. We are optimistic about the capacity of ongoing research to diagnose and treat Ring14 in a manner that improves the quality of life. 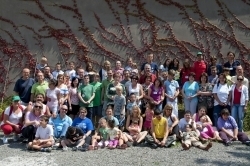 We are an association of families united by the devastating syndromes of chromosome 14. Our organization was founded to respond to the day-to-day needs to offer healthcare, give support and supply information that these rare and incurable disorders requires. Our families are often isolated with any medical and social assistance. Our commitment is to make them feel less abandoned and work every day for a world in which, thanks to medical advances, the symptoms of Ring14 are relieved. Our tales are of every day desperation: our children do not speak, struggle to walk, often they cannot even eat on their own. Their daily suffering is our first concern, but our determination will never let them down. This is the challenge that we shall overcome. It is a silent battle that we, as parents, carry on for our children and also for those who will be born tomorrow with this disease. Studying the syndromes of Chromosome 14 means advancing the knowledge on numerous common symptoms, such as epilepsy and autism. This is why we feel a bit like pioneers blazing a trail in unfamiliar territory, knowing that many others sick children with these common symptoms will also benefit from our work.